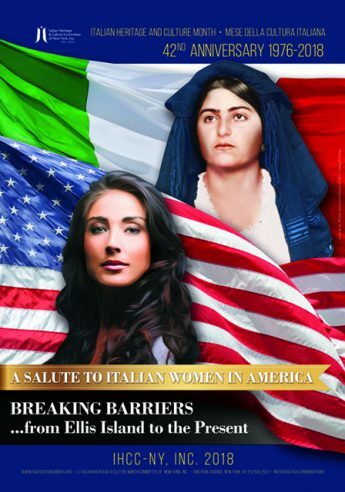 Encourage positive portrayals of Italian Americans in the media and the general public. The Italian Heritage and Culture Committee, New York, Inc. will conduct, sponsor, and/or participate in activities throughout the year, with special emphasis on the celebration of Italian Heritage and Culture Month. The vision of the IHCC-NY, Inc. is to be a dynamic organization in the Italian American community that will collaborate on and foster an appreciation of Italian and Italian American contributions to the world. Provide quality materials to educational and cultural groups and to other entities. The IHCC-NY, Inc. will encourage and/or sponsor programs at schools, colleges, civic entities, and ethnic and other organizations so as to promote Italian heritage, culture, and language and will foster positive recognition for the contributions of Italians and Americans of Italian descent to our society.